Eating the right combination of fresh produce, whole grains, lean protein and low-fat dairy will give a woman the energy she needs to not only keep up with a hectic lifestyle, but also to protect herself from chronic diseases. Eating a variety of these foods will help reduce your risk of everything from heart disease to Alzheimer’s. Thankfully, the list of foods that keep us healthy is long and full of great tasting ingredients you can cook with at home without a lot of time and fuss. The recipes included with this article are quick and easy to make and include several healthy ingredients women need. Try them on the go for breakfast, lunch or an afternoon snack. Perfect for us busy girls! Read more at http://www.citysocial.com or pick up a free copy of our May/June issue around town! Preheat the oven to 325 degrees F. Line one 13 x 9-inch baking pan with lightly greased parchment paper. Whisk the flour, oats, flaxseed, baking soda and salt in a large bowl then set aside. Beat the butter and sugar on medium-high until fluffy. Beat in the honey and vanilla, then add the eggs one at a time, beating well after each addition. Reduce the mixer speed to low, Using the paddle attachment or a spatula, stir in the flour mixture 1/2 cup at a time. Stir until just combined, scraping down the bowl as needed. Spoon the batter into the baking pan and spread evenly. Bake until golden brown, 20 to 30 minutes. Let the bars cool a few minutes in the pan then transfer to a rack to cool completely. 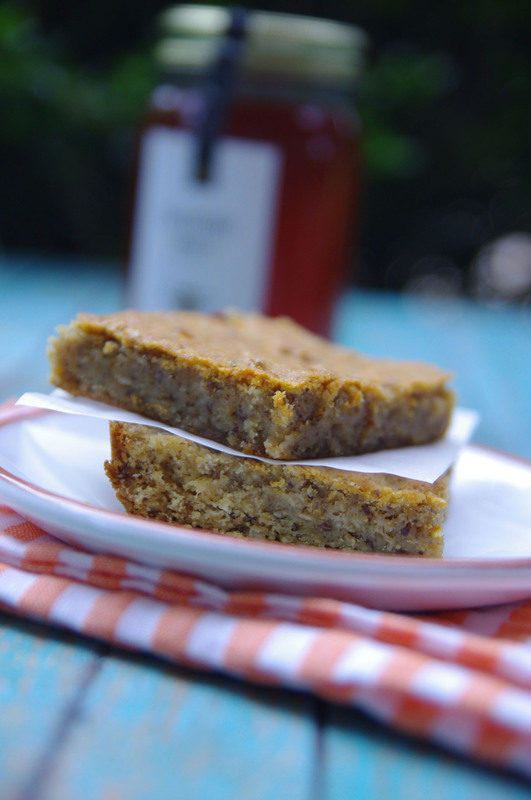 Cut into squares or bars and serve warm or room temperature. Store in a sealed container. Place the spinach on a salad plate. 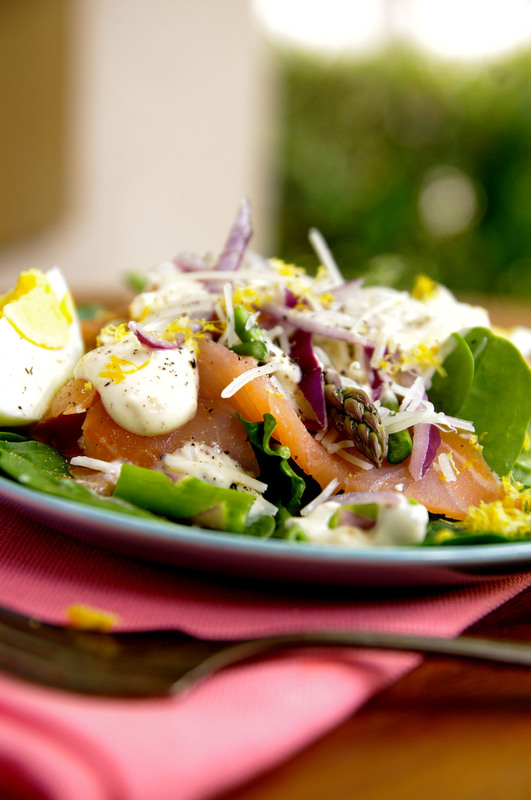 Lay the smoked salmon over the greens then top with asparagus, wedges of boiled egg and onion. Squeeze the juice from the lemon into a small mixing bowl. Whisk in the remaining dressing ingredients and drizzle over smoked salmon and spinach. Top salad with lemon zest. Season with fresh cracked salt and pepper to taste and serve. Mix all ingredients in a large bowl. Toss to coat with olive oil. 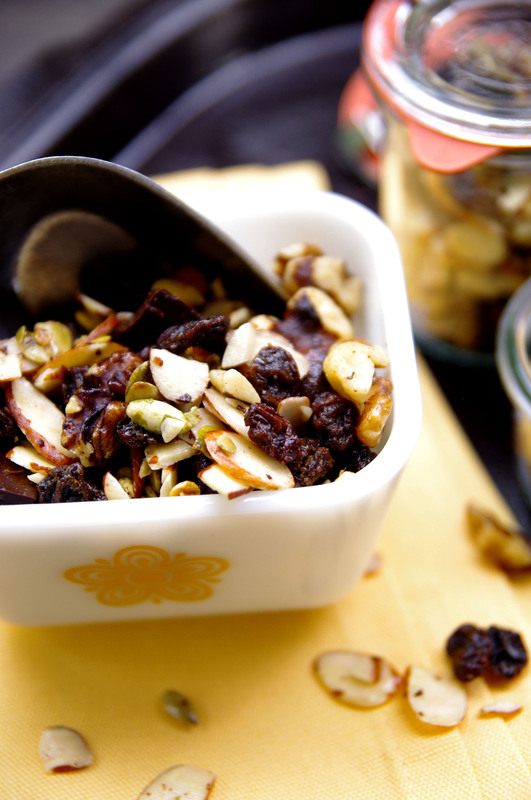 Store in an air tight container or portion into 1-cup servings in bags or containers to go.